It is one of a huge number of illegal gold mines that have sprung up across the resource-rich archipelago as the price of the precious metal has soared, luring people in rural areas to give up jobs in traditional industries. 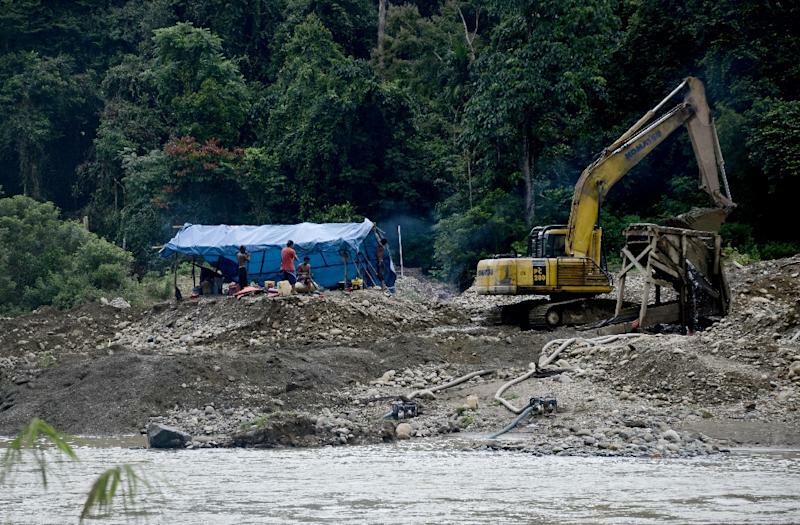 Now authorities in Sumatra's Jambi province, which has one of the biggest concentrations of illegal mining sites in Indonesia, have started a determined fightback, combining a crackdown with attempts at regulation. Declines in the price of rubber, which provided a livelihood for many in the area who had worked on plantations tapping the commodity, has driven many locals to more lucrative -- and dangerous -- gold mining. "This year has been tough because there are days when we don't find any gold," the miner, who like many Indonesians goes by one name, told AFP. "But it's still better than being a rubber farmer because rubber is very cheap nowadays." The illicit industry in Jambi started off in a handful of places with small-time prospectors panning for gold, but has exploded to about 100 sites in recent years. With authorities apparently doing little to stop the boom in its early years, miners became increasingly bold and began openly using excavators. Mining in the province is usually carried out at open sites next to rivers, where workers dig shallow pits in the hunt for gold deposits that typically build up next to waterways. In Jambi, the wildlife-filled jungles have been degraded by the expansion of mines and plantations to devastating effect. 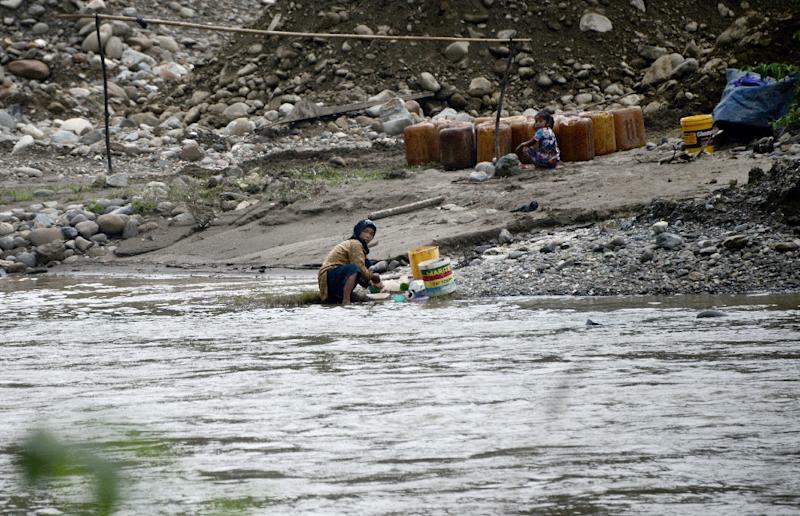 But it is not just the environment that is suffering, miners are putting their lives at risk. Burning mercury mixed with raw ore to extract gold is common, but can cause serious neurological damage. Miners sometimes develop problems such as tremors and persistent coughing from inhaling the fumes. In recent months, authorities have stepped up their fight back. Police have raided mines, authorities have initiated programmes to offer training in farming techniques in a bid to lure workers away from prospecting, and have appointed village heads who are firmly against the practice. But officials quickly realised that cracking down alone was not the solution. They are also taking steps to regulate the industry by offering would-be miners a route to working legally. Under a plan introduced by the local government in December, individual miners and small groups can apply to open up a pit in a "People's Mining Area". Workers can mine in an approved area after obtaining a permit, said Karel Ibnu Suratno, a senior official from the Jambi government. He said authorities would be able to oversee the work, meaning that environmental damage would be limited, and local government coffers would get a boost as miners would have to pay tax on the gold they find. The scheme "is meant to improve people's lives" by ensuring the miners themselves get the profits, rather than the wealthy individuals providing financial backing for the sites who usually remain in the shadows, said Suratno. "Most of them don't earn much but mining is the only source of income they have," he added. The government is facing an uphill struggle to clamp down on the industry however. Since the introduction of the "People's Mining Area" initiative, only one area has successfully applied for a permit. Authorities have sometimes faced retaliation when they attempt to crack down. After some people allegedly involved in trading illegally-mined gold were arrested in Jambi last year, the local police station was set on fire in a suspected revenge attack. Activists believe that going after the miners themselves does not really tackle the root cause of the problem, and authorities need to catch the wealthy financiers. "It's hard to stop illegal mining here as long as the people who finance it are not known, and have not been caught," said a local environmental activist, who declined to be named due to the sensitivity of the issue. But campaigners say perhaps the biggest challenge is that so many in an area with few employment opportunities have come to rely on illegal gold mining. "This is all I can do to earn a living," said miner Iwan.